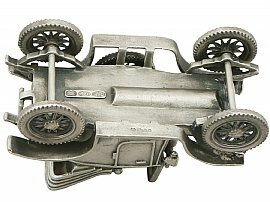 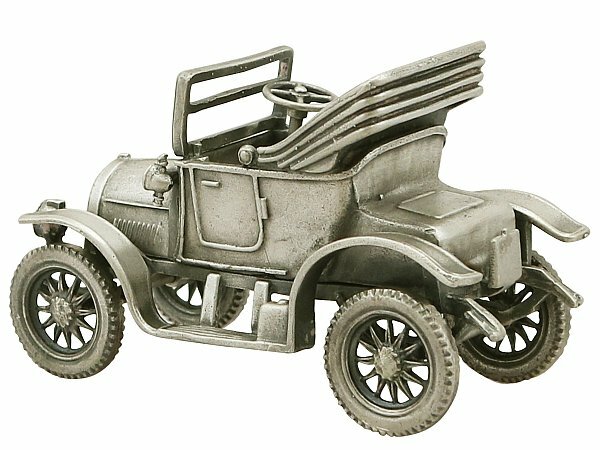 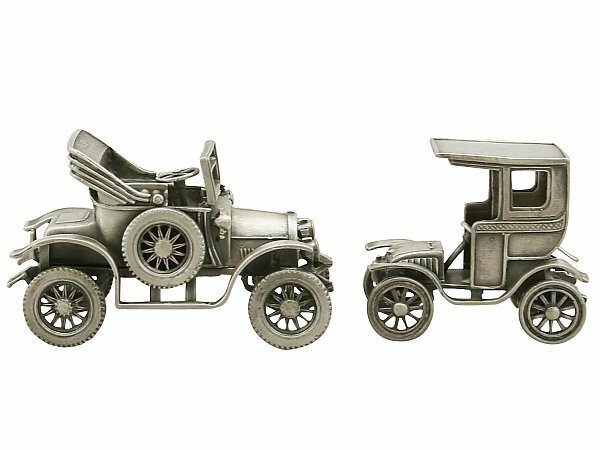 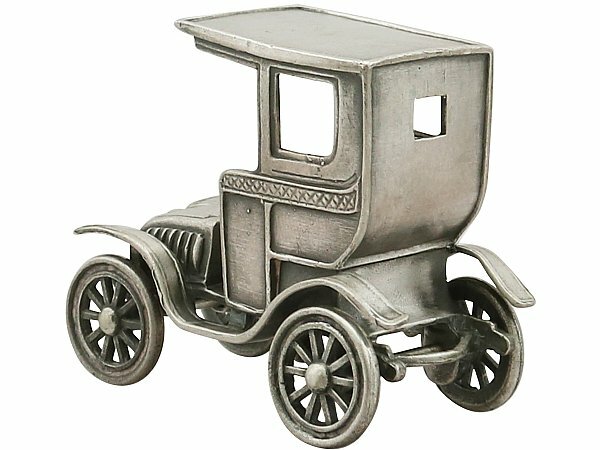 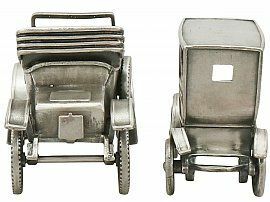 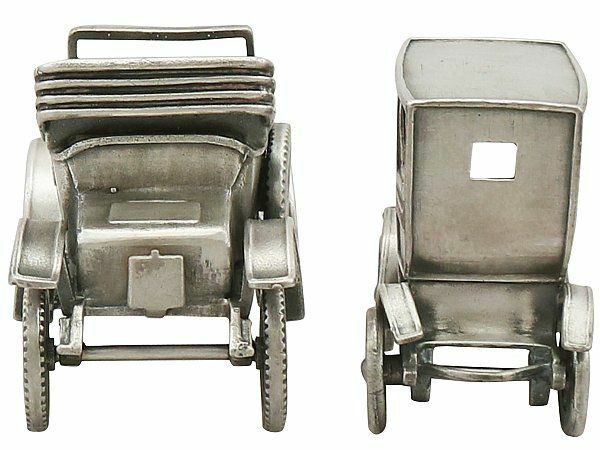 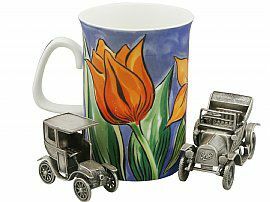 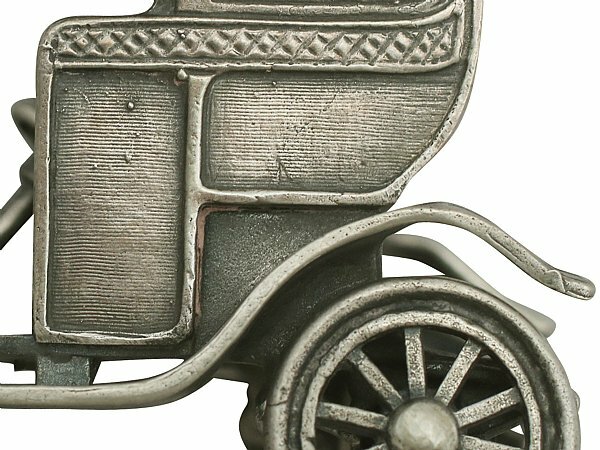 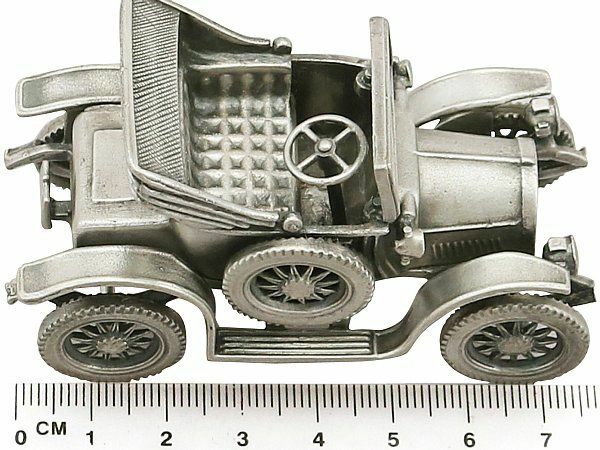 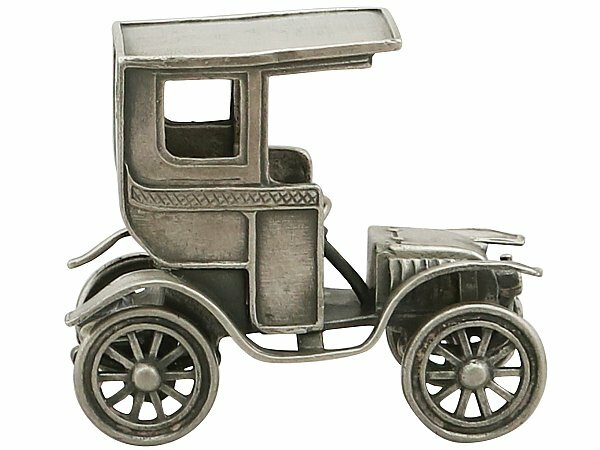 These impressive vintage Italian cast sterling silver table ornaments have been realistically modelled in the form of two early 20th century automobiles. 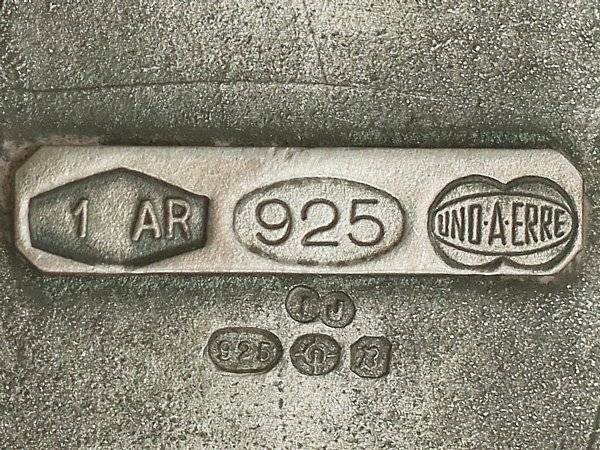 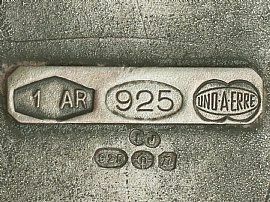 The first piece reflects the style of an Opel Cottereau and the second can be associated with an Opel Torpedo. 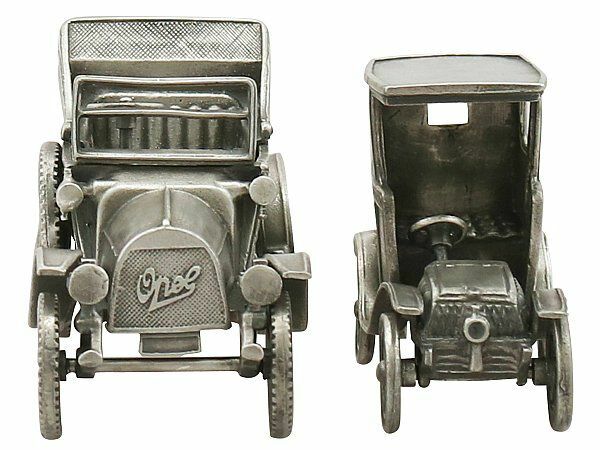 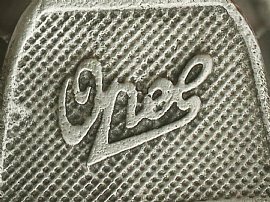 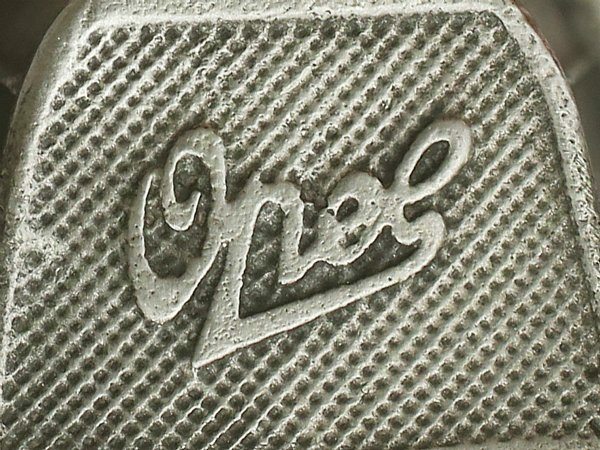 Each of these silver car models has been embellished with details reproducing the fine definition of the vehicle's body work and fabric features, in addition to the manufacturers badge 'Opel' to the front grille. 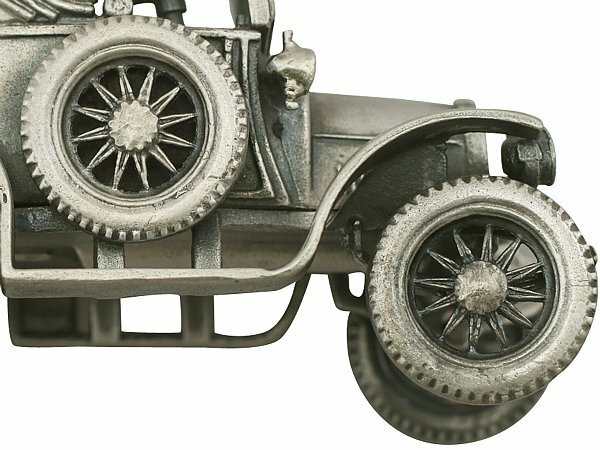 These cars are fitted with axles to the underside allowing the functional wheels to rotate. 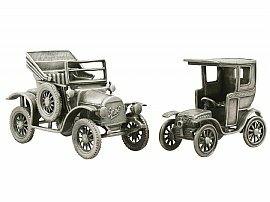 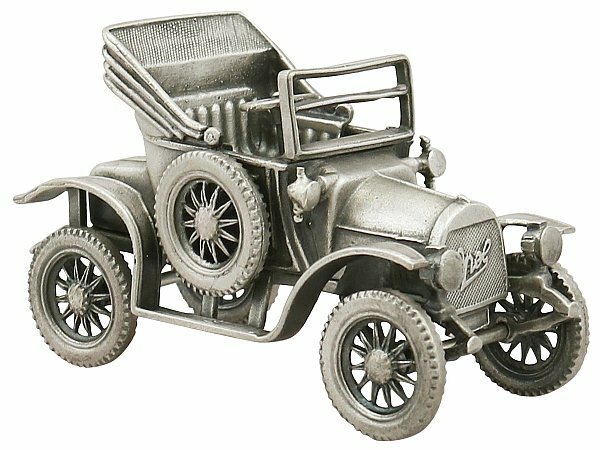 These vintage silver car models are a very good gauge of silver, excellent quality and in excellent presentation condition. Full hallmarks struck to the underside of each chassis are all very clear.